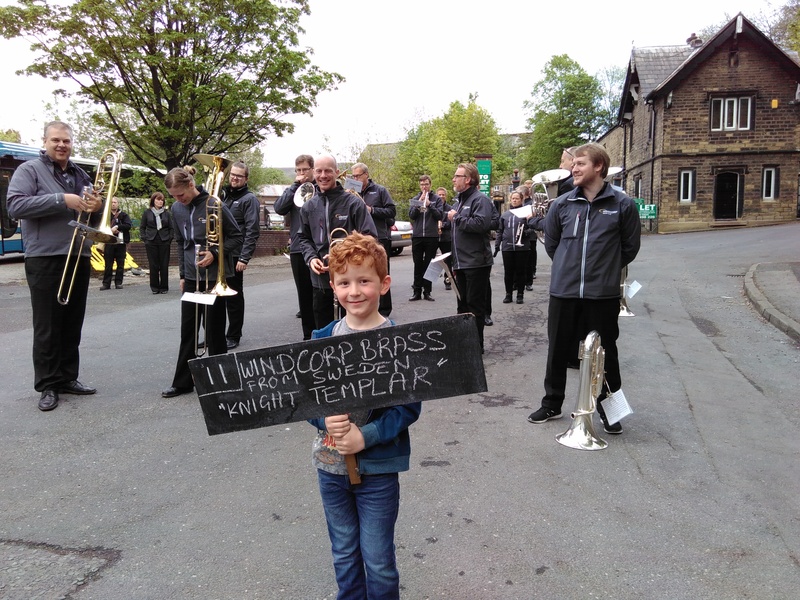 After a trip overseas, Windcorp Brass Band with our conductor Andreas Kratz now owns the title of Uppermill Champions after achieving to be placed as number one in the popular village during the Whit Friday contests. In the prestigious village of Delph Windcorp Brass Band won a fifth place in front of 75 other bands, and in the Tameside area we were placed second in Dunkinfield. During the memorable weekend we also had the pleasure to be invited to attend a rehearsal with the Fairey Band, and to participate in their concert in Glossop Parish Church. The Fairey Band played some marvellous film music while Windcorp Brass Band performed a Swedish program with tunes such as Gammal Fäbodpsalm, How Great Thou Art, Ouverture to Jeanne D’Arc and a medley of Abba songs. After a fantastic weekend in Great Britain and Derbyshire, we returned to Sweden with smiles on our faces and great memories. Windcorp Brass Band would like to thank Professor Garry Cutt for inviting us to Glossop and giving us such a great experience. We would also like to thank the British soprano legend Nigel Fielding for sharing his splendid skills while playing with us during the weekend. Now we take aim for this year’s Swedish Nationals coming up in November, and our chase for another title! Don’t forget to follow us on Facebook, Twitter and Instagram!